You cannot go to New York without taking in Central Park. All four seasons offer the best New York moments. Central Park is America's backyard. As you all know, the higher you go in Manhattan the city starts to change, so the same thing happens with the park, and even though on 59th the park in Columbus Circus is amazing, you are risking yourself going beyond 86th and certainly you are pushing it beyond 96th. Looking for a fun place for a date? 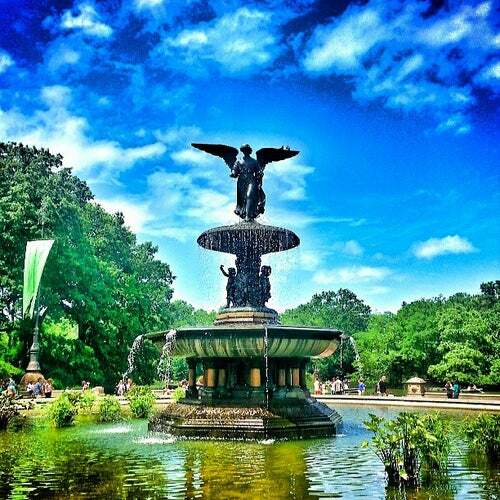 Bring him to the Bethesda fountain in the middle of the park, steal a kiss, and then take him for a rowboat ride. Lunch at the Boathouse afterwards? Fancy! The perfect date!